This article about handling image loading on web was originally published on ImageKit’s Medium blog here. When you are handling millions of images on your website or mobile application, it is quite possible that over a period of time, a few images may cease to exist. And when you try to deliver those images on your applications, the users end up seeing a broken image like the one below. Definitely, this is not something that you would want showing up on your application. 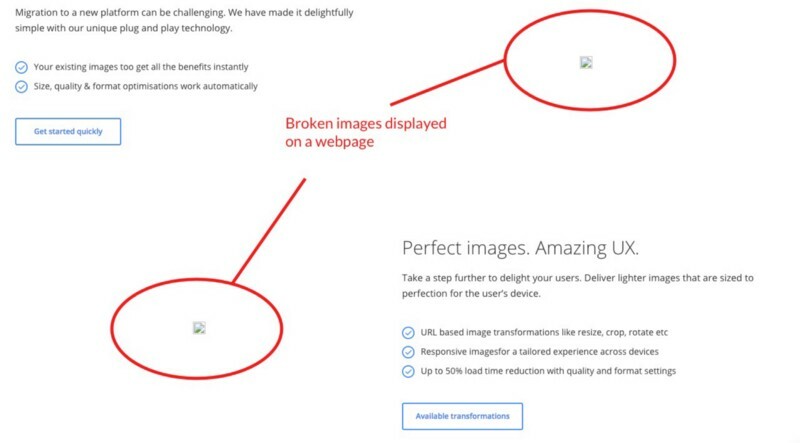 There are a few ways on how you can fix this broken image problem to maintain the UX standards of your application. If an image does not exist, then it should be removed from the database. An image URL that is incorrect or points to an image that no longer exists, is most likely a data issue. So the first thing that you can do to counter the broken image problem is to periodically check all images for sanity. You would pick up a list of image URLs that have been added over let’s say the last week and check if you are able to retrieve those images (a 200 OK HTTP response). If yes, then the image stays in your database, else you can discard the image. Disadvantages — Lengthy execution times (nearly impossible) for millions of images, waste of network bandwidth and cannot catch errors for the time between two consecutive runs of the cleanup task. If an image does not exist, we can replace it with a new one. Another way to handle this issue is by listening to the error event that gets fired when the image fails to load. In HTML, this can be done with the onerror attribute of the <img> tag. If the original image fails to load, then it is replaced by the image mentioned in the onerror attribute handler. Similar handling can be done in mobile apps as well. Disadvantages — Won’t work for images loaded as background (at least for websites). Problems may continue in older versions of your website or application that cannot be updated with the new code. Different code for different platforms. If the image does not exist, then the server should not send the error at all. Your image server knows if an image does not exist and sends a 404 Not Found HTTP status code to the client. Instead, the server itself could replace it with a default image, correct the HTTP status code and then send it to the browser or the application. Disadvantages — You need to build a server that can handle this rerouting for you. Difficult, if not impossible, to get it working with simple image delivery setups like CDN + S3 storage. The default image is specified using the di- parameter in the URL. In this case, the default image is from a cafe. Deliver a default image, the one on the right, instead of the broken image, the one on the left. Being a URL-transformation, this gives you the flexibility to specify a different default image for different kinds of images without having to write any code to handle the error cases. You can read more about handling of non-existent images or default images using ImageKit here. Default images sent instead of a non-existent image should not be cached at all or if it is cached, then the cache duration should be small, preferably a few hours. This leaves an opportunity for the non-existent image to be “fixed” or made available. When this happens, then the correct image would start getting delivered to the users automatically. However if the image is not expected to be fixed, then the cache duration can be longer. 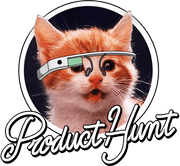 Since images form a critical part of our application, ensuring that the UX is not broken because of data issues with images is equally important. I hope the above techniques will help in ensuring a better experience for your users on your website and app. Please share if you have any other ideas around handling images that no longer exist on a web application.